Next you will see all invitations that were sent. Please note that the list is updated with some delay while the information refreshed on the Facebook server. 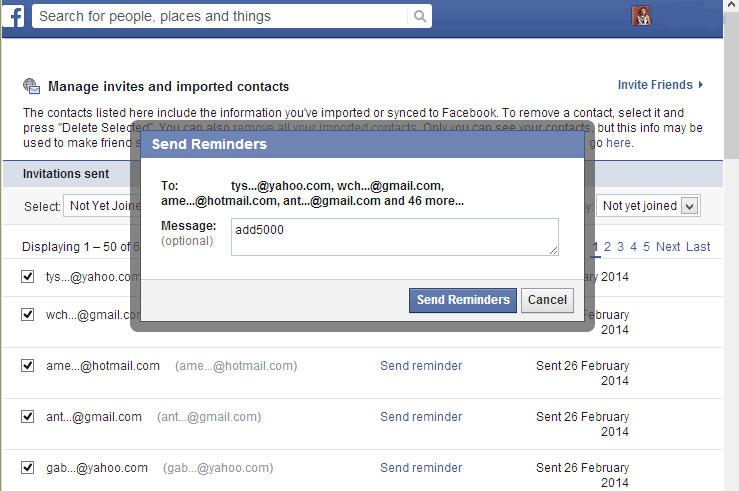 Also you can remove not received invitations. If a long time the recipients do not accept your request then we recommend you not send a reminder and it is better to delete them. 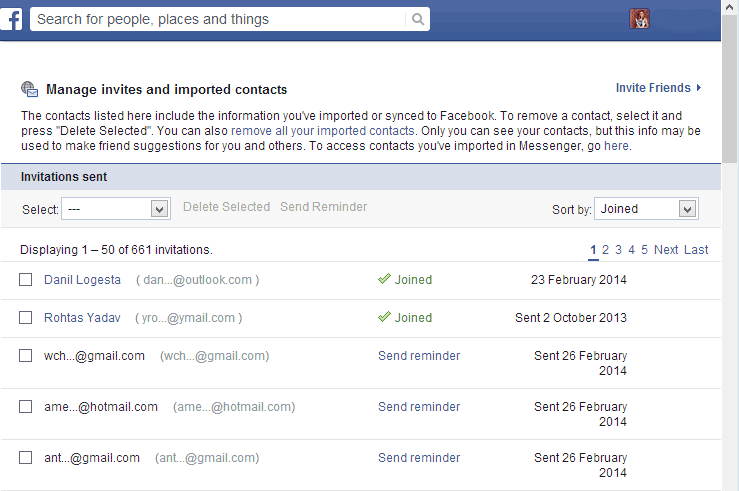 If you want to have more friends we recommend use the service "Mass add email" and create a new list for the invitation.